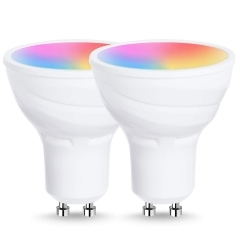 This smart bulb works with WiFi or cellphone traffic, controlled by APP on smart phone or tablet PCs(Android 4.1 above or IOS 8.0 above). There are 3 steps to start the smart life. Scan the QR code to download the APP, install the lamp(GU24 base) and use the APP to control the Wi-Fi bulb(No Hub Required). The APP can be download by scanning the QR code on the package, or searching in app store. 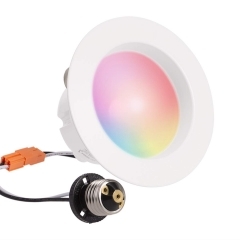 --This smart GU24 LED light doesn’t need any hub or bridge which will save money on hub purchasing. 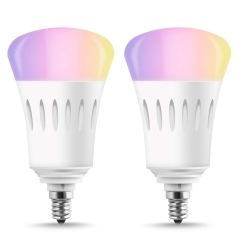 --Adjust the color temperature and brightness without any dimmer. 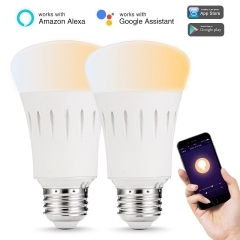 Support Voice Control -- This GU24 base smart LED bulb is compatible with Amazon Alexa, Amazon show and Google Home. 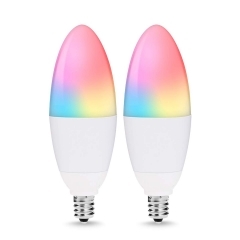 You can turn on/off this wifi bulb, adjust the color or brightness via your voice. 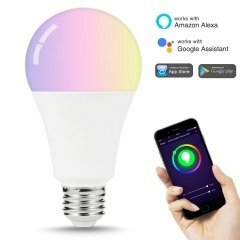 Support Group Control -- You can create groups on the app to manage two or more smart light bulbs. 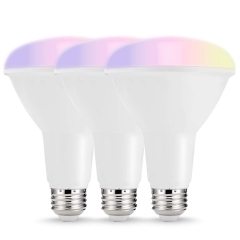 Synchronous control( Such as, gradually dim them or change the color of them all simultaneously) will be realized through smart lamp group. 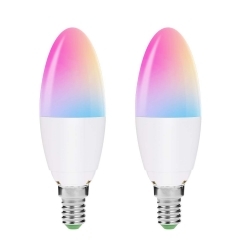 Support Remote Control -- Control the WiFi Light LED no matter where you are. Turn it on/off without leaving your bed or before going back home. Support Time Setting -- The Wi-Fi bulb will be on/off automatically with your favorite brightness according to the preset time. 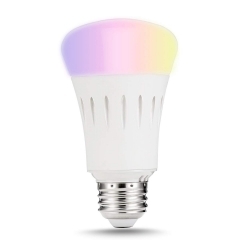 Tunable White -- The color temperature of the smart wifi GU24 A19 LED light is from 2000k to 6500k. Daylight(5000k) and warm white(2700k) is included.